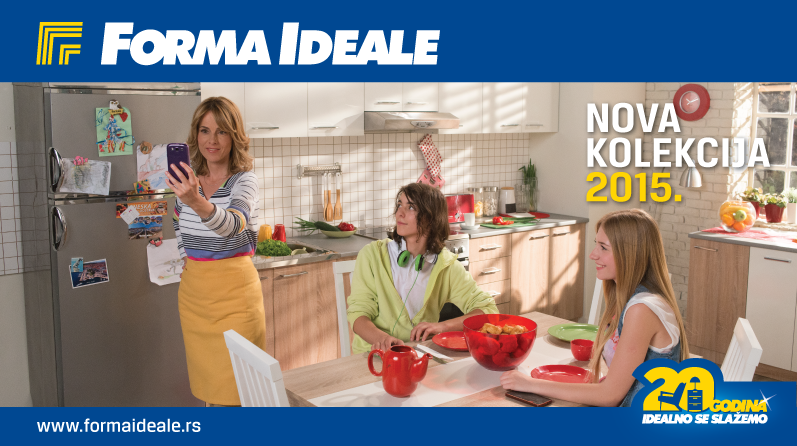 Forma Ideale chose our agency to create a selling campaign which will also mark the 20th anniversary of this renowned manufacturer of furniture. TV advertisement concept is simple but effective. The furniture is so comfortable and appealing, that as soon as family members see it, they would rather enjoy Forma Ideale than to fall in the arms of their loved ones. We have also developed other promo materials for the campaign, such as print advertisements, billboards, etc.